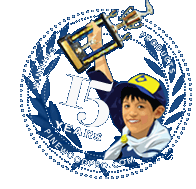 "Added just the amount of weight I needed and gave my son's car that finishing touch"
Add some life to your pinewood derby car with a race car driver. Set includes pinewood derby helmeted driver, steering wheel and seat back in cast metal. These weights work very well. take special care when attaching them as there is not much base to adhere them. Used some Gorilla glue and seemed to work well. Position them 1" in-front of the rear axles. Looks cool!! This fits perfectly in standard Cub Scout Car designs. It really adds a nice touch. I loved it,it made my 10 year old's NASCAR look realistic,the extra work to make the hole that the driver sat in was worth it.My son won first place and second in the whole pack!